We abdicate responsibility for our own lives, according to psychologist Joost Merloo, because we fear life?s built-in contradictions. 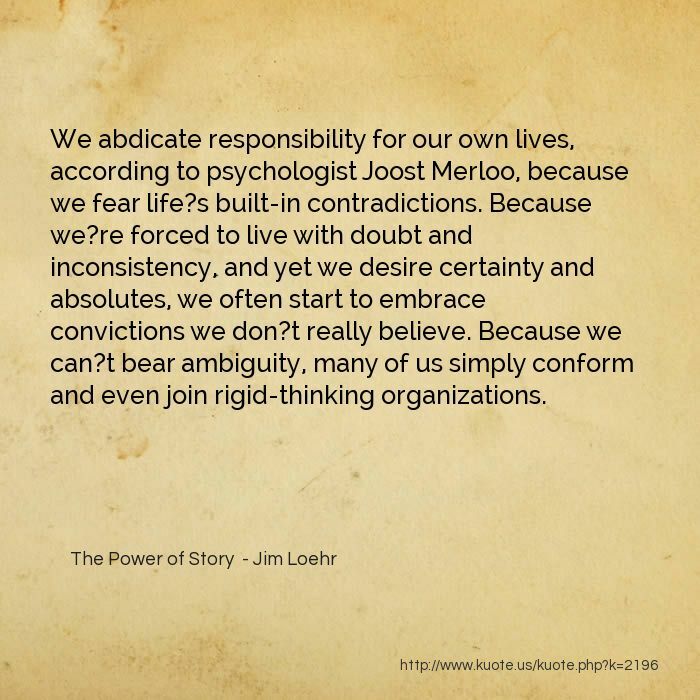 Because we?re forced to live with doubt and inconsistency, and yet we desire certainty and absolutes, we often start to embrace convictions we don?t really believe. Because we can?t bear ambiguity, many of us simply conform and even join rigid-thinking organizations. 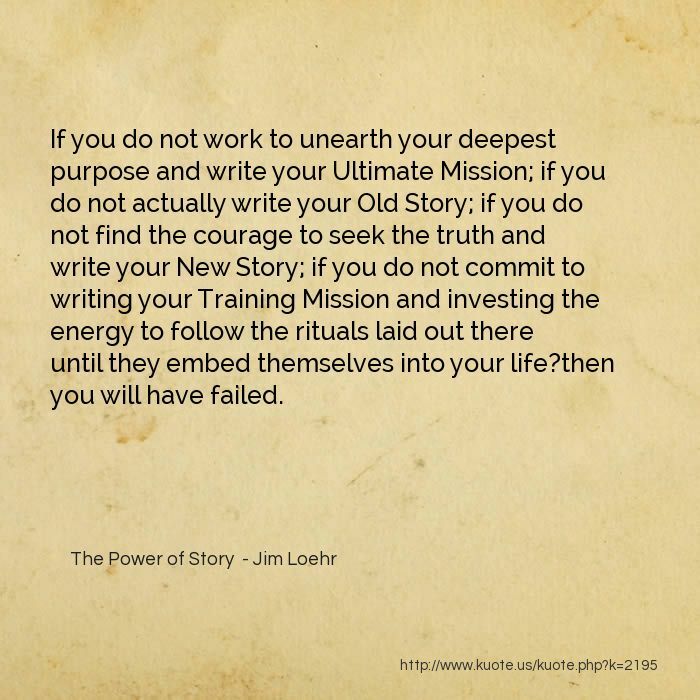 If you do not work to unearth your deepest purpose and write your Ultimate Mission; if you do not actually write your Old Story; if you do not find the courage to seek the truth and write your New Story; if you do not commit to writing your Training Mission and investing the energy to follow the rituals laid out there until they embed themselves into your life?then you will have failed. 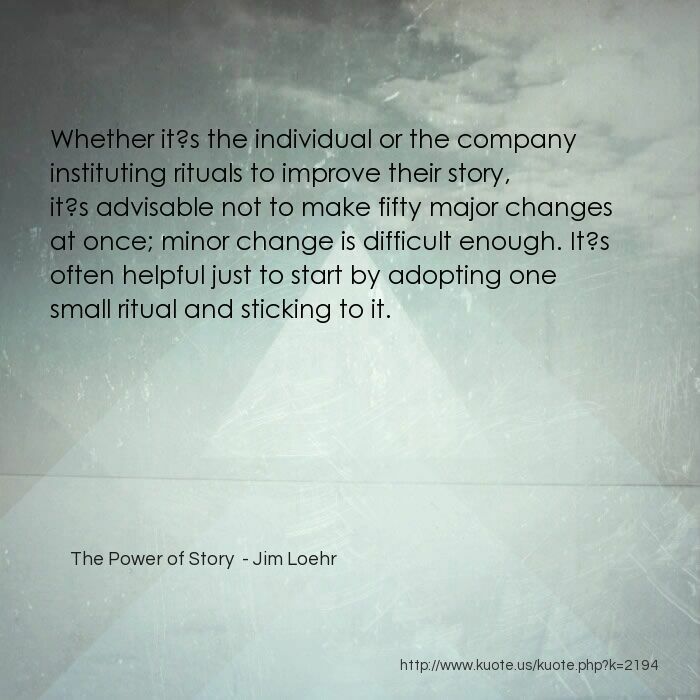 Whether it?s the individual or the company instituting rituals to improve their story, it?s advisable not to make fifty major changes at once; minor change is difficult enough. 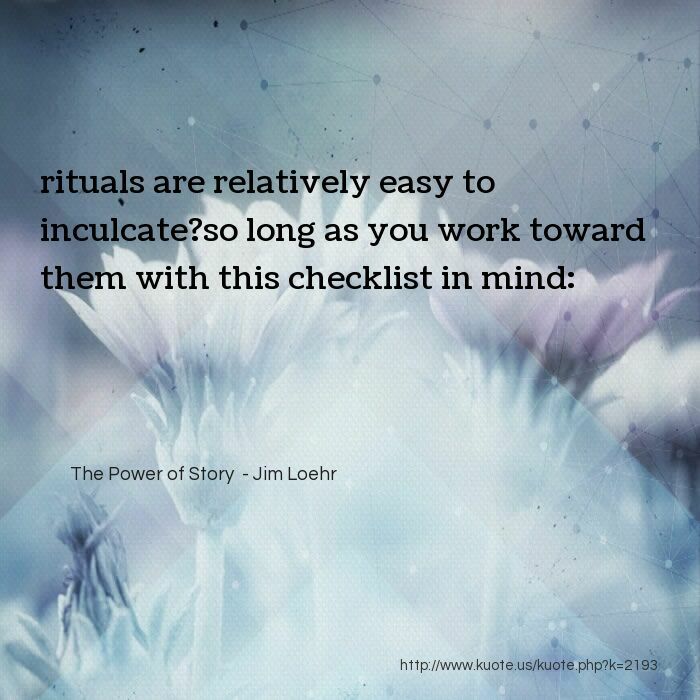 It?s often helpful just to start by adopting one small ritual and sticking to it. 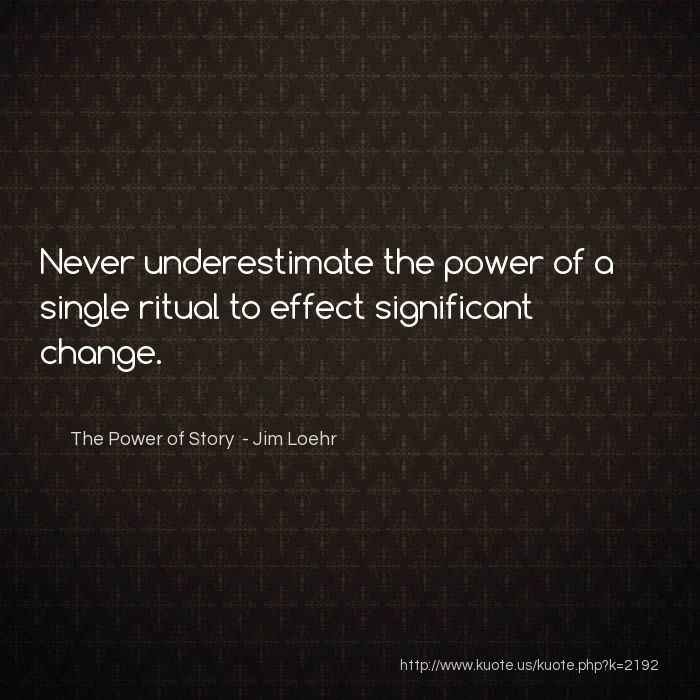 Never underestimate the power of a single ritual to effect significant change. 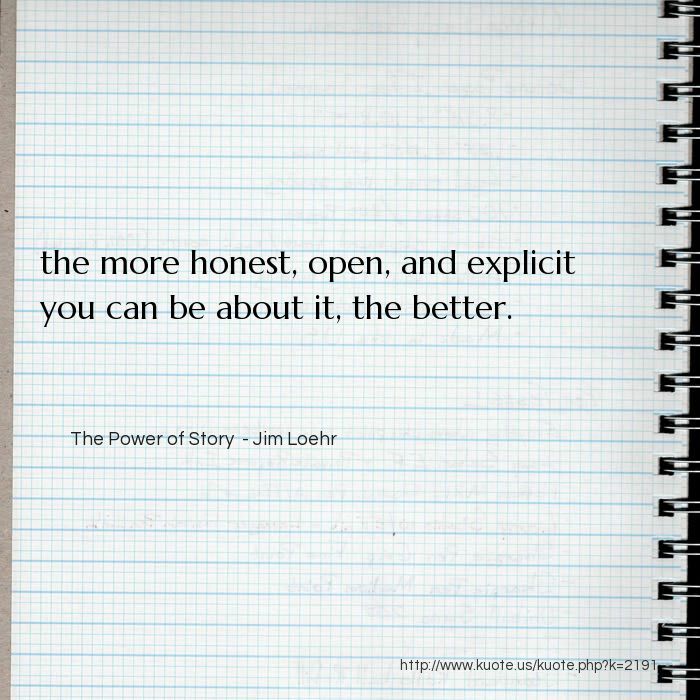 the more honest, open, and explicit you can be about it, the better. a ?ritual,? 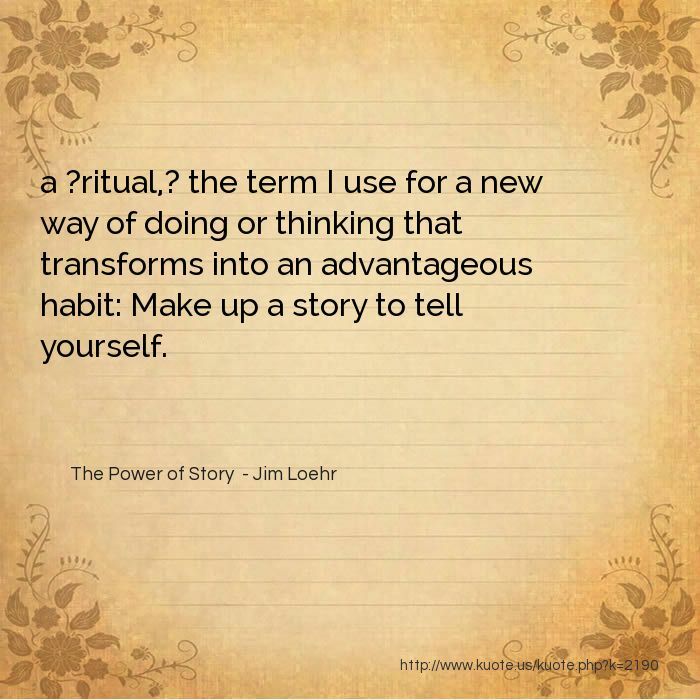 the term I use for a new way of doing or thinking that transforms into an advantageous habit: Make up a story to tell yourself. 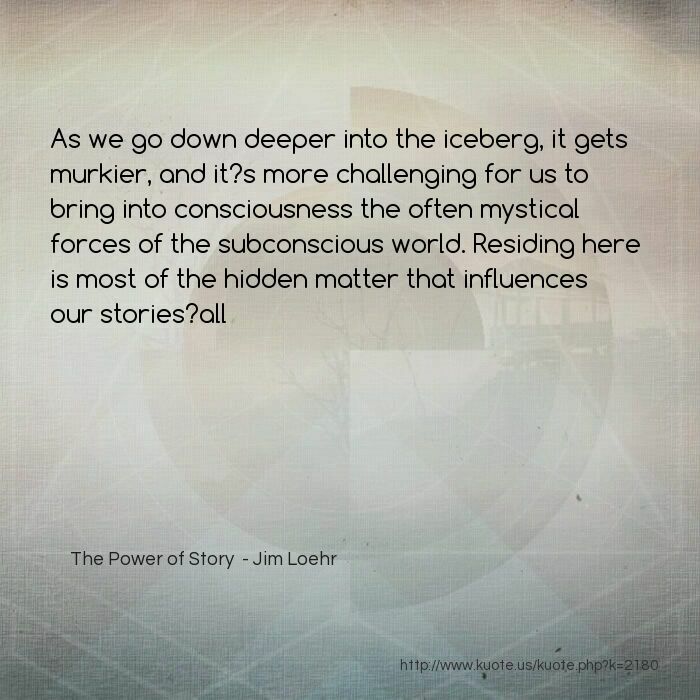 when you are pursuing your New Story and trying to fulfill your Training Mission, you want to be at the mercy of the training effect: This is where the power of your unconsciousness is delightfully beneficial, working for you. 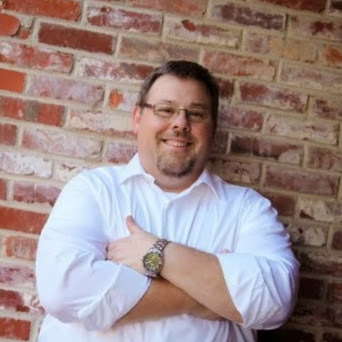 Thanks to the training effect, once you?ve finished an initial period of training, you?ll gradually be required to spend less and less of your conscious energy toward making that positive change. 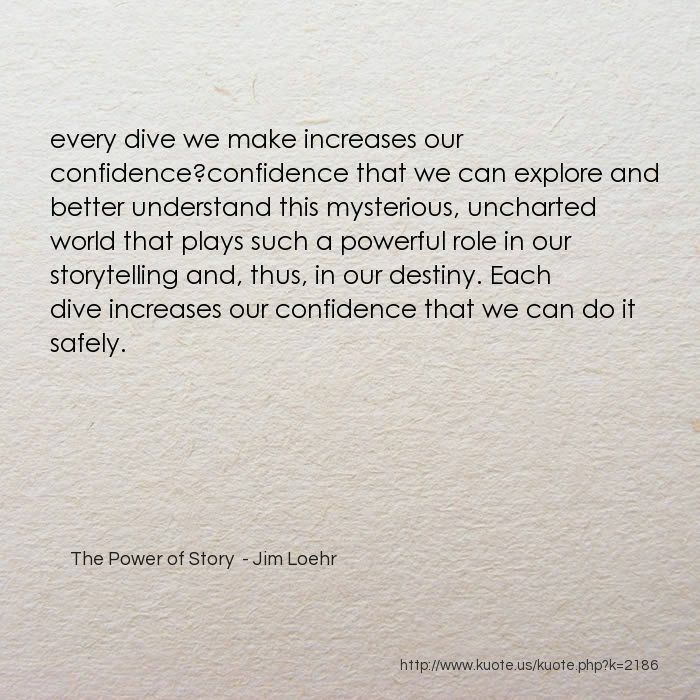 every dive we make increases our confidence?confidence that we can explore and better understand this mysterious, uncharted world that plays such a powerful role in our storytelling and, thus, in our destiny. Each dive increases our confidence that we can do it safely. 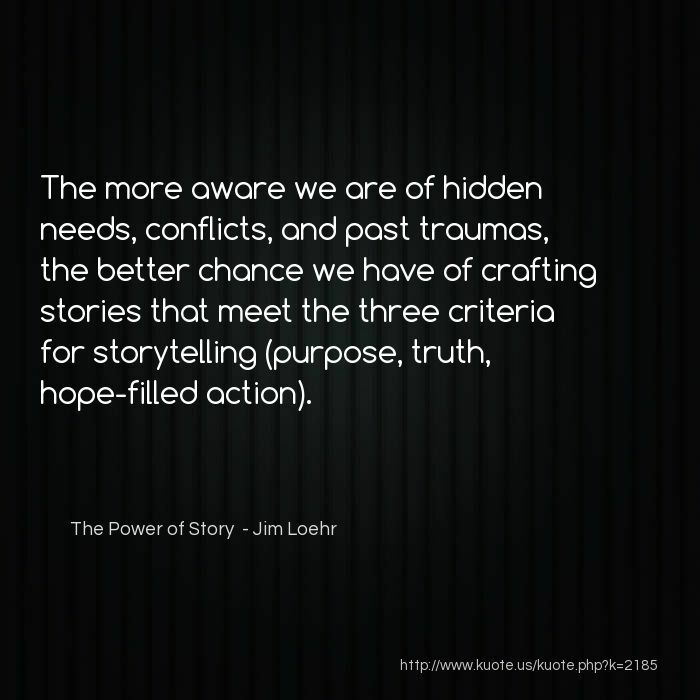 The more aware we are of hidden needs, conflicts, and past traumas, the better chance we have of crafting stories that meet the three criteria for storytelling (purpose, truth, hope-filled action). 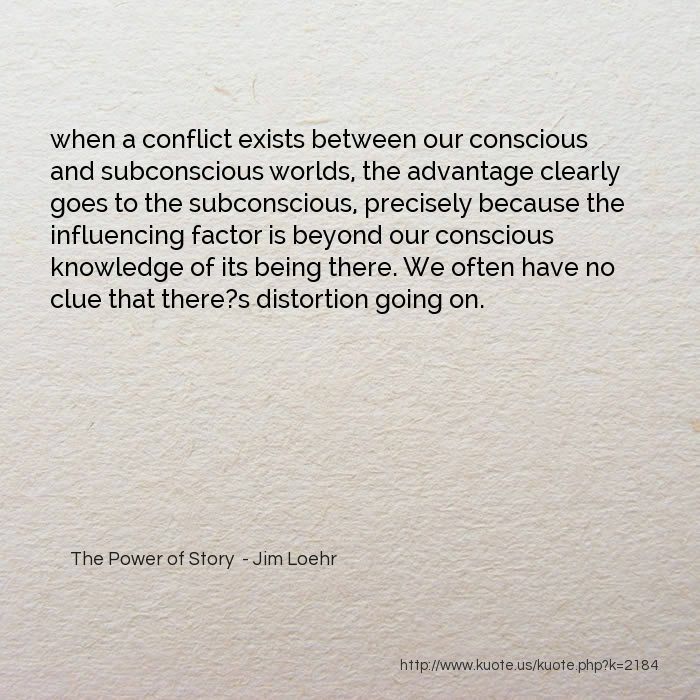 when a conflict exists between our conscious and subconscious worlds, the advantage clearly goes to the subconscious, precisely because the influencing factor is beyond our conscious knowledge of its being there. We often have no clue that there?s distortion going on. 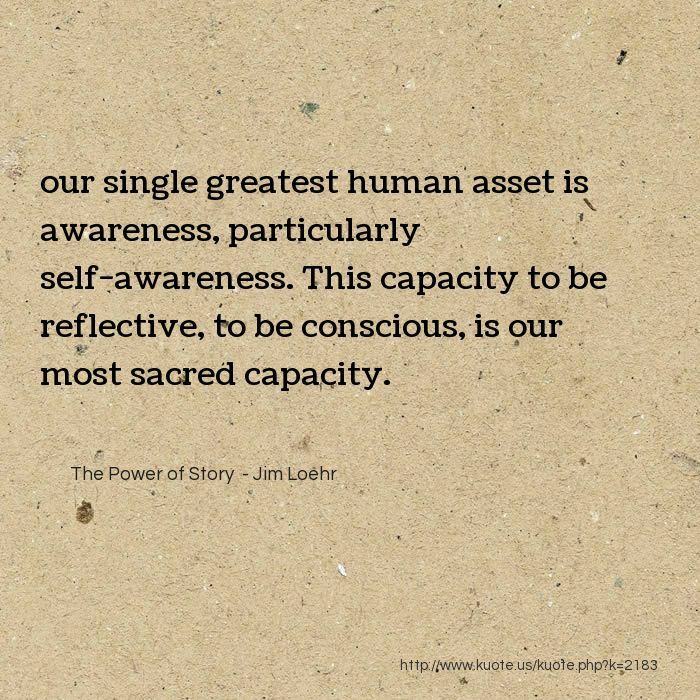 our single greatest human asset is awareness, particularly self-awareness. This capacity to be reflective, to be conscious, is our most sacred capacity. once we acknowledge the extent to which our behavior is governed by subconscious forces, how daunting?how futile! 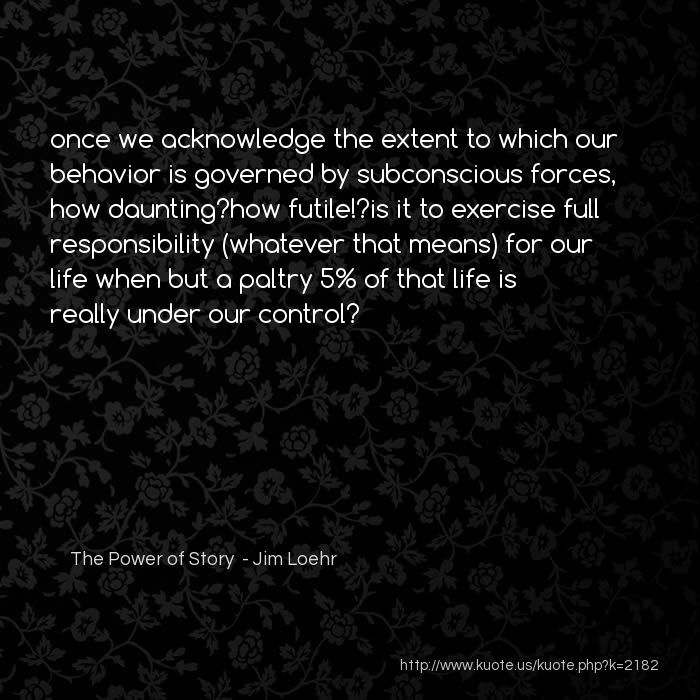 ?is it to exercise full responsibility (whatever that means) for our life when but a paltry 5% of that life is really under our control? 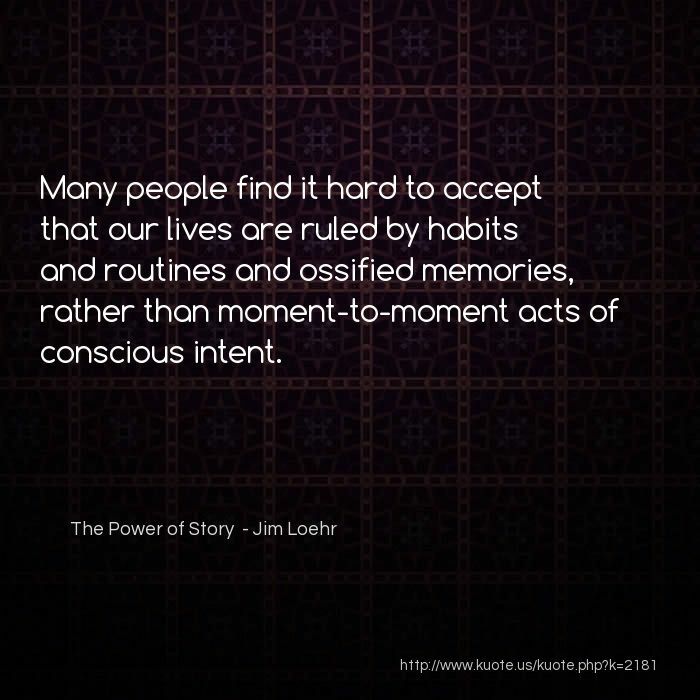 Many people find it hard to accept that our lives are ruled by habits and routines and ossified memories, rather than moment-to-moment acts of conscious intent. According to two studies on brain function (Baumeister and Sommer; Bargh and Chartrand), 5% or less of the mind should be classified as the ?conscious part? 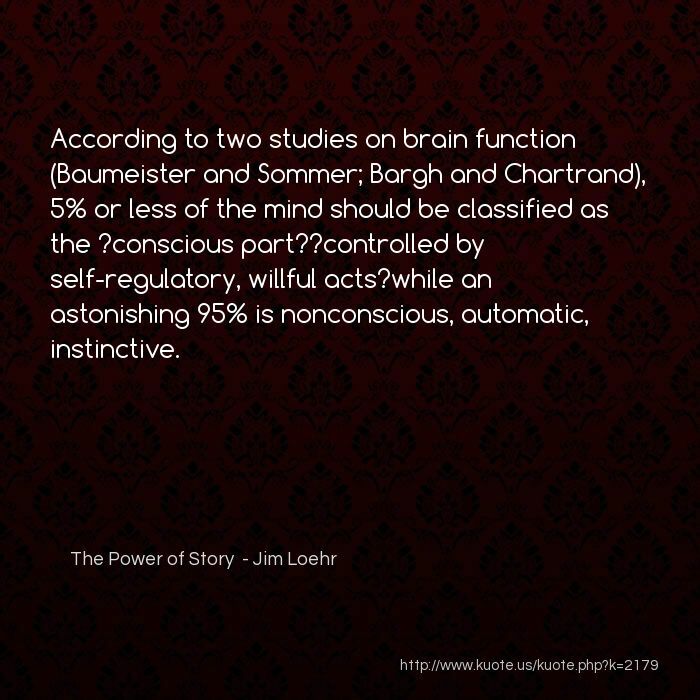 ?controlled by self-regulatory, willful acts?while an astonishing 95% is nonconscious, automatic, instinctive. 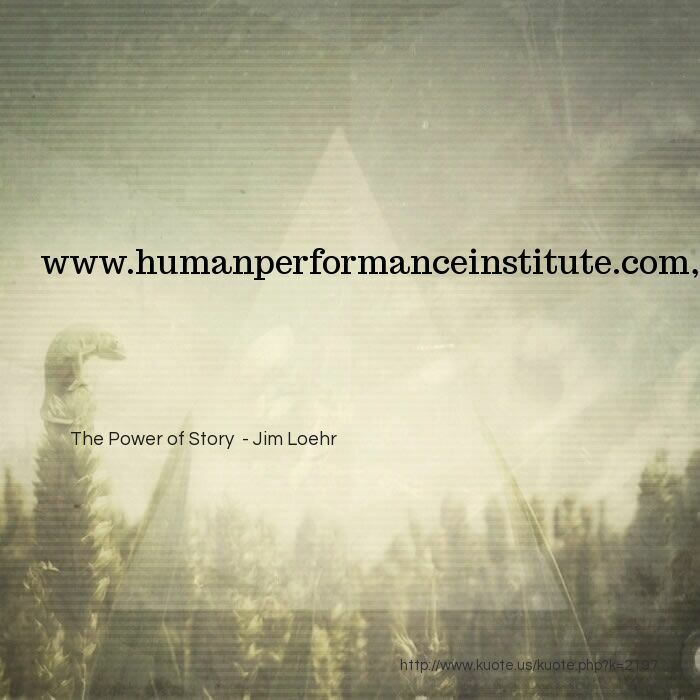 Every story we tell has some effect. Stories move the needle every time we tell them. Because of this powerful ?story effect,? 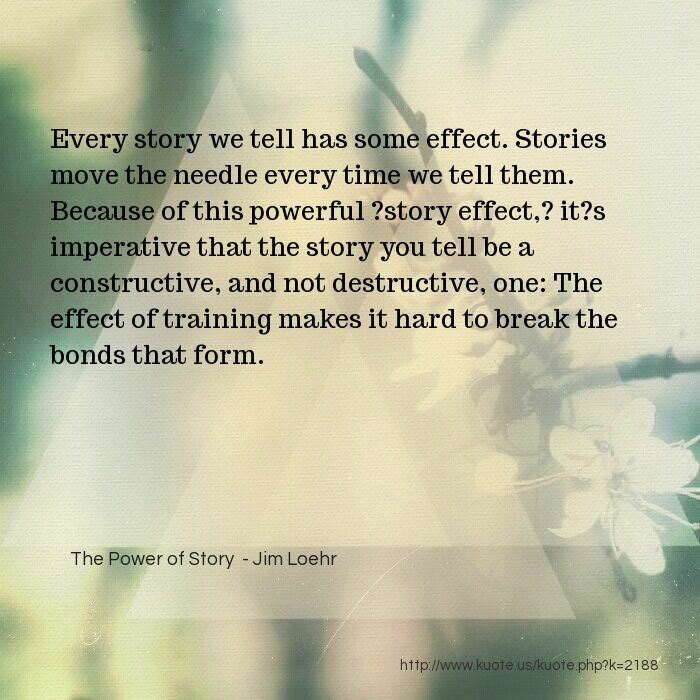 it?s imperative that the story you tell be a constructive, and not destructive, one: The effect of training makes it hard to break the bonds that form. How do you indoctrinate yourself? 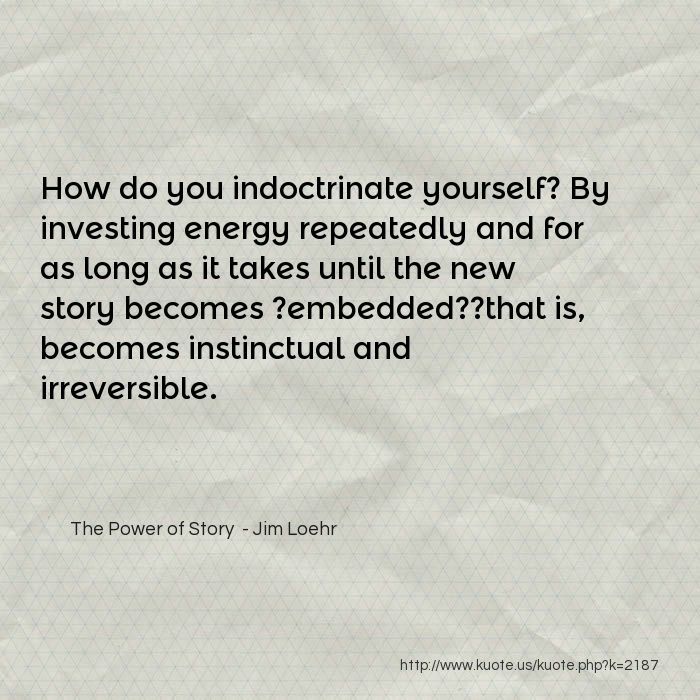 By investing energy repeatedly and for as long as it takes until the new story becomes ?embedded? ?that is, becomes instinctual and irreversible. 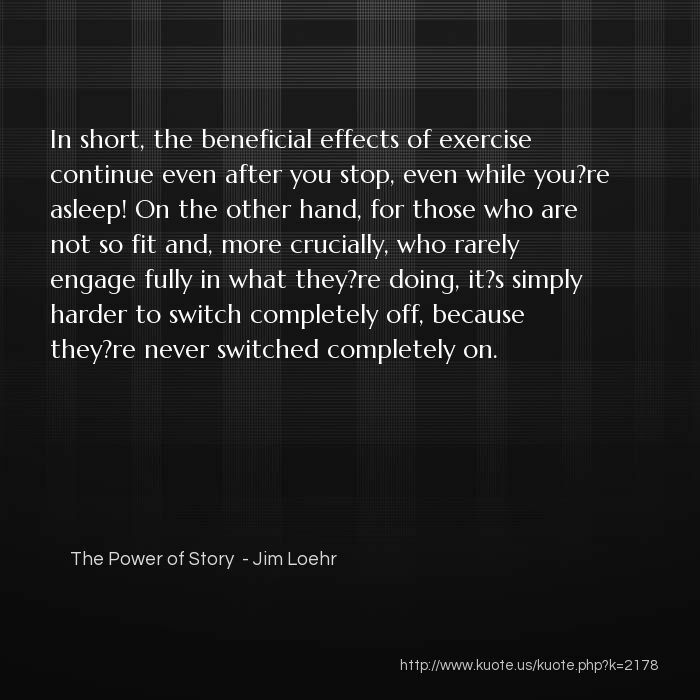 In short, the beneficial effects of exercise continue even after you stop, even while you?re asleep! On the other hand, for those who are not so fit and, more crucially, who rarely engage fully in what they?re doing, it?s simply harder to switch completely off, because they?re never switched completely on.